Kenneth C. (Ken) Schory was born in Chicago on October 11, 1946, into a creative household in which his father, Kenneth P. Schory, was an industrial designer and mother, Claire, an illustrator. Both graduated from Pratt Institute in Brooklyn, New York. He entered the engineering physics program at the University of Illinois (Urbana) in 1964, but transferred after three semesters into the industrial design program, then headed by Ed Zagorski, FIDSA. After graduation in 1970, Schory worked with several Chicago-area firms, designing consumer products. He took a position in late 1977 with NCR Corporation's corporate ID office at the company's world headquarters in Dayton, Ohio, where he stayed for 20 years. During his tenure, he developed the underlying philosophy of NCR's global design strategy, worked closely with the consulting firm of Richardson-Smith and all of the NCR designers in developing the program, had primary responsibility for resolving many elements of the program as it was being rolled out across more than 200 products and components, and managed the evolution of the program to keep pace with market trends and emerging technology. In addition to winning many design awards for individual products, NCR's Corporate Appearance Program (or "CAP," as it was commonly called) won a gold award in 1984 in IDSA's IDEA competition and a Beacon Award, ten years later. In 1991, AT&T bought NCR. That venture, however, was unsuccessful; in 1996, AT&T sold off the NCR division, which then struggled to regain its independence and viability. In doing so, NCR found it necessary to drastically change how it did business. It was no longer possible to continue as a major proprietary hardware developer; instead, it began purchasing many of its hardware components externally. Within a few years, NCR's corporate design office, its internal consulting design function, and most of the industrial designers in its plants around the world had been let go. After leaving NCR in 1998, Schory taught industrial design and photography for one year as the Nierenberg Chair of Design at Carnegie Mellon University in Pittsburgh. Also in 1998, he was elected into IDSA's Academy of Fellows. 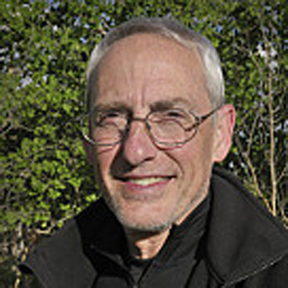 Having enjoyed a 30-year career in industrial design, Schory retired in 2000 to indulge his passion for photography and start fresh with a new career as a commercial photographer specializing in architectural, product and landscape photography, samples of which can be seen at http://www.kenschory.com.